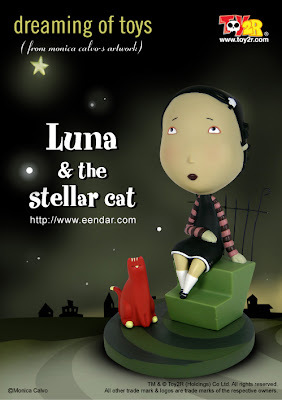 The character is base don a Monica Calvo's illustration. The story tellsabout the moon, wishes and dreams. Once the moon wished to be a girl to beable to play with kids and laugh, and feel free. But when her dream cametrue, she discovered what she had left behind, how we all want what we cannot have. This piece really beautifully translates the 2D artwork into 3D. Excelent work, as always!